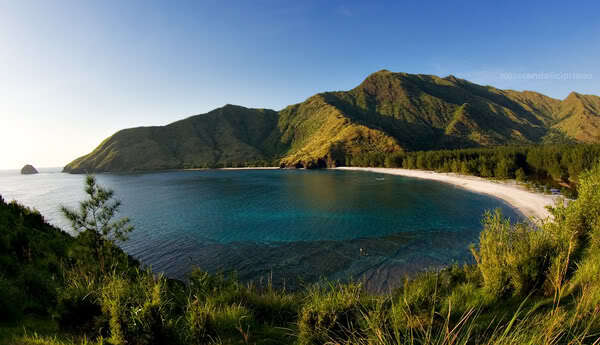 Anawangin is a crescent-shaped cove lined with pine trees on its shore which gives it a different impression compared to the other tropical beach resorts in the country which are mostly lined with coconut trees. The sand is white and soft with a mixture of volcanic ashes from the last eruption of Mt.Pinatubo. The cove is complimented by the surrounding mountain rocks giving it a picturesque and poster-perfect view especially when the sunset is giving-off an orange glow that reflects to the mountain curves. o Roundtrip private van transfers: Manila- Banaue/ Sagada/ Baguio- Manila. See: 3D3N Sagada Tour Package with roundtrip van transfers from Manila. o All meals. Please budget P150 to P300 per person per meal. o Optional: Rock Climbing adventure at Echo Valley: P400 per person/ minimum of 2 persons. Inclusive of all equipment. Standard check in time is 200PM. Check out time is 12PM. Early check in would be subject to availability at the time of arrival. Bags may be kept at the frontdesk for safekeeping when needed. All tours are weather dependent. In the case of unfavourable weather conditions, tours may be cancelled and refund would be made.